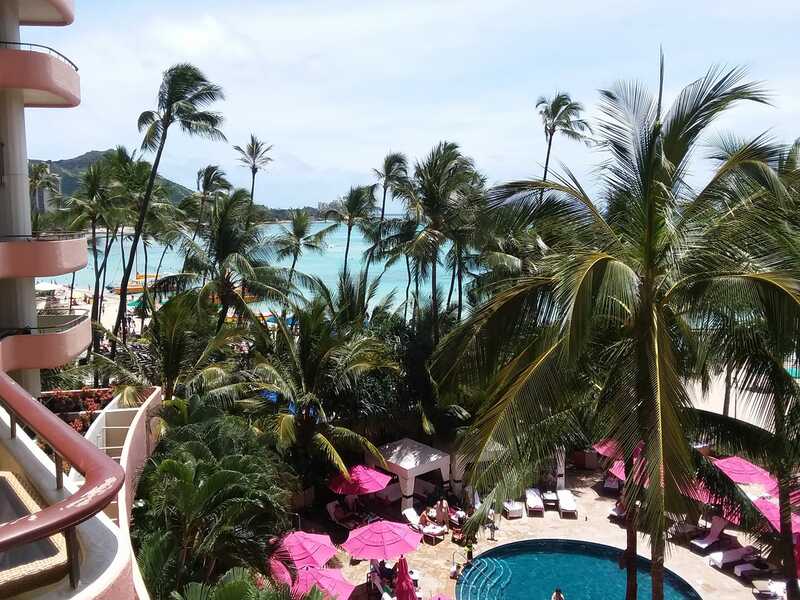 The spring issue of our magazine is finished, so I headed out to Honolulu for a quick “R&R.” I snagged a low fare on Alaska Airlines from Oakland, and started my trip at the Royal Hawaiian Hotel (AKA “the Pink Palace”). I love the history of the Royal Hawaiian. The pink stucco, Spanish-Moorish styled complex opened in 1927 to accommodate the Matson Nativagion Co.’s steamers from San Francisco. The hotel offers walking tours that recount stories about the iconic resort. My first trip to Hawaii was in high school. I flew on a United Airlines 747 by myself to spend the summer in Honolulu with a longtime childhood friend, whose family had returned to the island. His mom was born in Honolulu, a descendant of early Christian missionaries. She graduated from Punahou School in Honolulu — a storied private school — and Scripps College, Claremont. Before passing, she was honored by the Hawaii State Senate for her volunteer work. I developed a love for Hawaii on that trip, getting an “insider’s view” of Honolulu, including the arts and culture venues. Later, my wife Shannon and I would return to the “windward” side of Oahu, where we rented a house from a former colleague of The Chronicle, who lived there. We would swim and grill fresh fish from the famed Tamashiro Market. We also would eat dinner at Alan Wong’s, who grew to become one of Hawaii’s most renowned chefs. Since then we’ve been back to most of the islands: Kauai, the Big Island and Maui. In short, Hawaii has been a part of our lives together, including when our son was born. He has memories of going to a luau and swimming in the surf. He learned about Pearl Harbor firsthand from a visit there. This time, I’m on my own for a little “R&R.” I will visit Alan Wong’s for dinner, visit the Honolulu Museum of art, and enjoy swimming in the ocean. I like to leave the sliding-glass door of my room open at night to hear the surf. The three-hour time difference is an advantage too, because I can help my son with his homework before it even gets dark. And I’ll fly home in a narrow-body 737, a “toy airplane” as my friend who was a captain of a 747 used to joke. Times have changed. Enjoy your week!